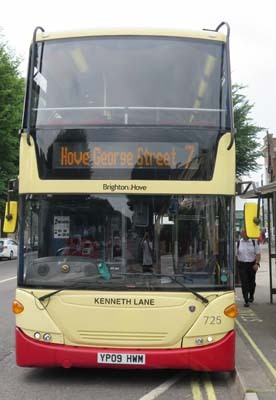 Connections with Brighton and Hove : Kenneth Lane was a leading Brighton businessman who was also a prominent Conservative. Born in Portsmouth in 1924, he graduated in natural sciences at Cambridge University before joining the Admiralty Scientific Service during the war. He married Peggy Murphy in 1943 and they had six children. After she died he married Delma Garrod and they eventually set up home in Hove. Mr. Lane was executive chairman of the Brighton-based machine tool company Kearney and Trecker Marwin between 1976 and 1981. 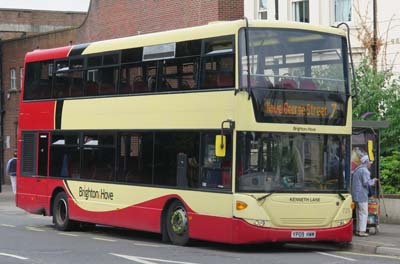 They were one of the biggest firms in Brighton. 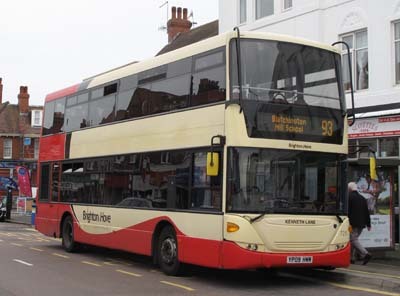 He was director general of the Machine Tool Trades Association after that and became the first director of Brighton and Hove Chamber of Commerce. Mr. Lane was chairman of Varndean College, treasurer of St Peter and St James Hospice and founder of the Citizens Advice Bureau in Brighton and Hove. He becomes national vice chairman of the Young Conservatives in 1948 and was founder chairman of the local Tory associations in Brighton when they agreed to merge. Mr. Lane, who received the OBE in 1988, was a keen sailor in his spare time. He died aged 82. 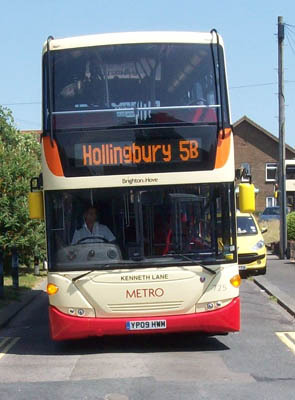 725 Scania Omnicity - carried name since delivery in June 2009 on Metro 5. 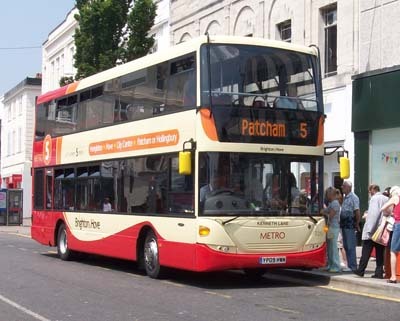 Metro 5 branding removed October 2013. 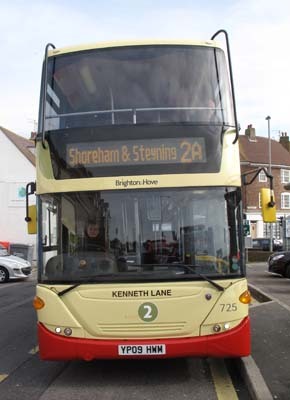 Repainted into Route 2 livery February 2014. 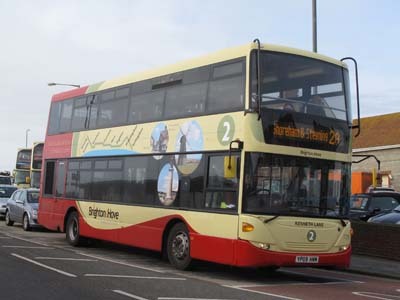 Route 2 branding removed June 2017. 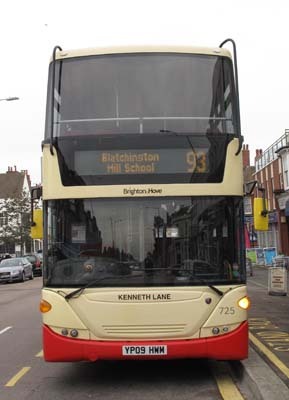 Bus sold in April 2018.